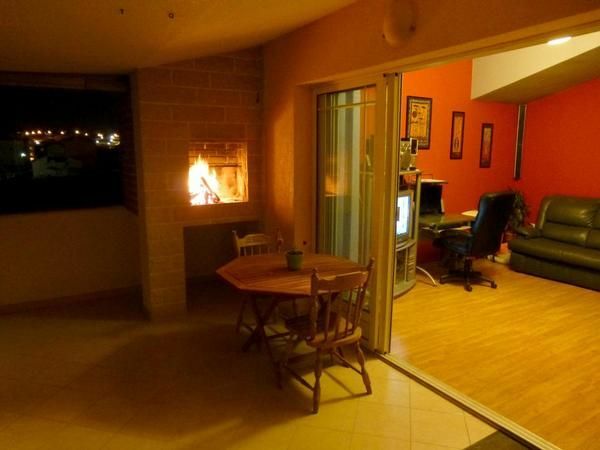 The apartment includes a balcony with fireplace (barbecue), fully equipped kitchen and living room, two double bedrooms and one single bedroom. Guests can use private bathroom with washing machine and shower. Apartment is air conditioned, has free Wi-Fi and cable television. Guest can use free parking. In the neighborhood, within a radius of 500 meters, there are supermarkets, restaurants, coffee bars, post office, ATMs, golf course, tennis courts, cage ball and entertainment facilities. Bus station for Split is also in that radius. Distance to the airport is 25 km, central bus and railway stations are located in Split (approx. 8 km from the apartment).